While we initially touched on Dynamic Ads in Chapter 4, setting them up takes much more work than other ad types. To help you create your first set of Dynamic Ads, we’ll go through it step-by-step in this chapter. 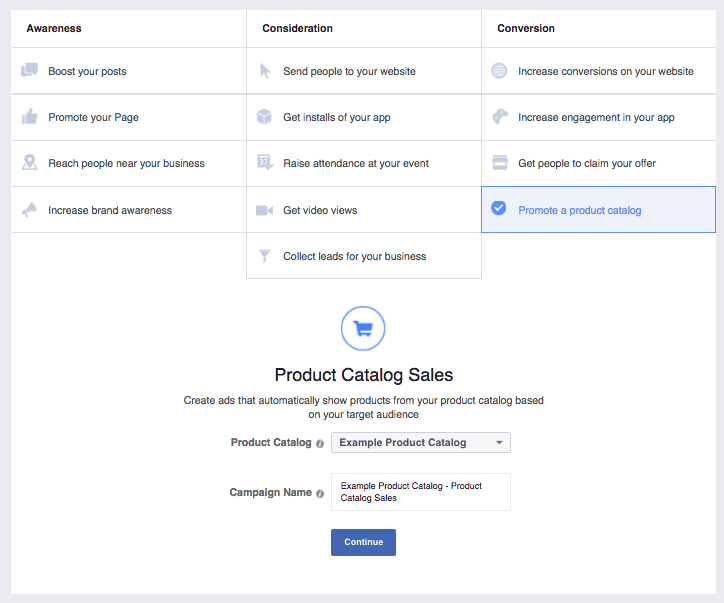 To set up your first Dynamic Ad, you’ll need to upload your online store’s product catalog to Facebook. 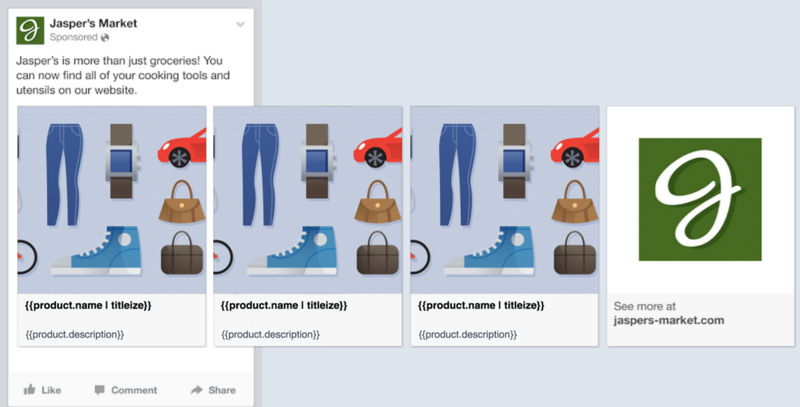 A product catalog is a data file that lists all of the items from your store that you would like to display in your Facebook ads. Click “All Tools” and you’ll find “Product Catalogs” under the “Assets” header. 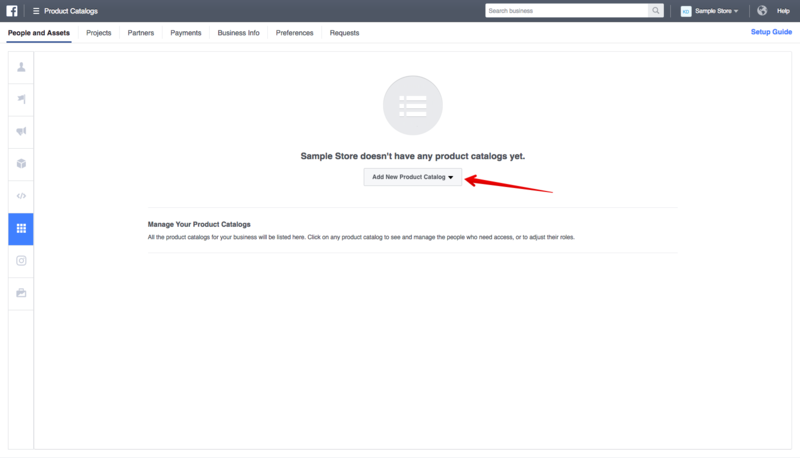 Select “Add New Product Catalog” and click “Create New Product Catalog” in the dropdown menu. Give your product catalog a name - the name of your store is best. After you click ‘Create Product Catalog’ you’ll need to add the product feed so that listings are automatically created. Your product feed shows all the products in your shop and you can further customize multiple feeds. For example, a product feed for items only available in certain areas or a feed based on a specific type of shopper. 1. Install the app, and get your RSS feed from your Shopify Shop. This will be a specific feed - whatever item the person viewed at your Shopify store is what they will be served. This will “fetch” the items from your store based on your product ID and set a time for syncing (daily is most likely best). 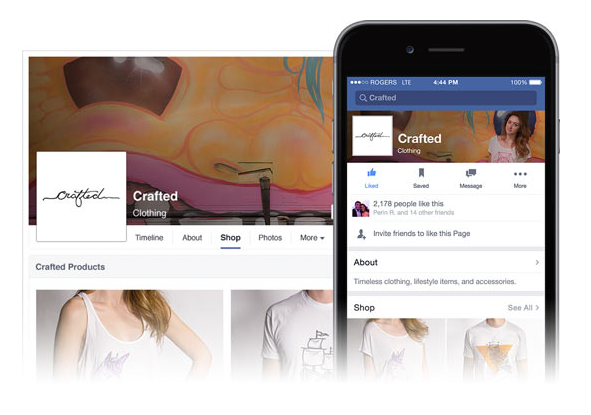 If you’re not using the Shopify Facebook Product Feed app, use a cloud storage site like Dropbox or Google Drive. 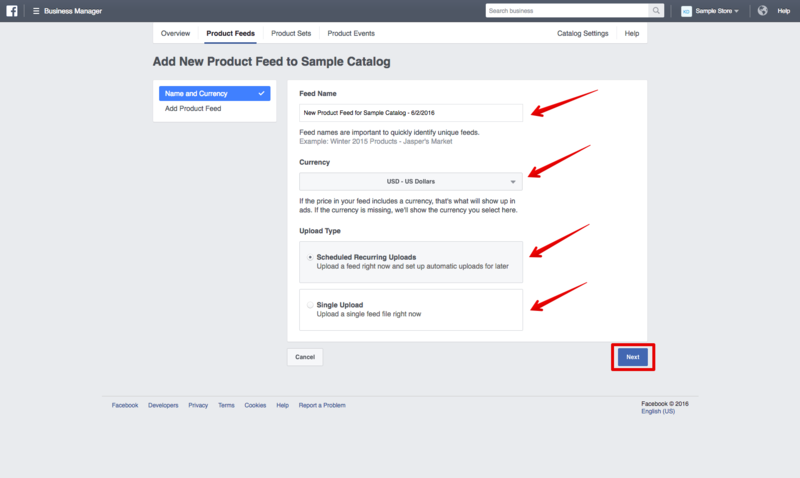 A recurring upload will update your product feed based on any changes made. A single upload means the information will remain static and need to be changed manually in the future. 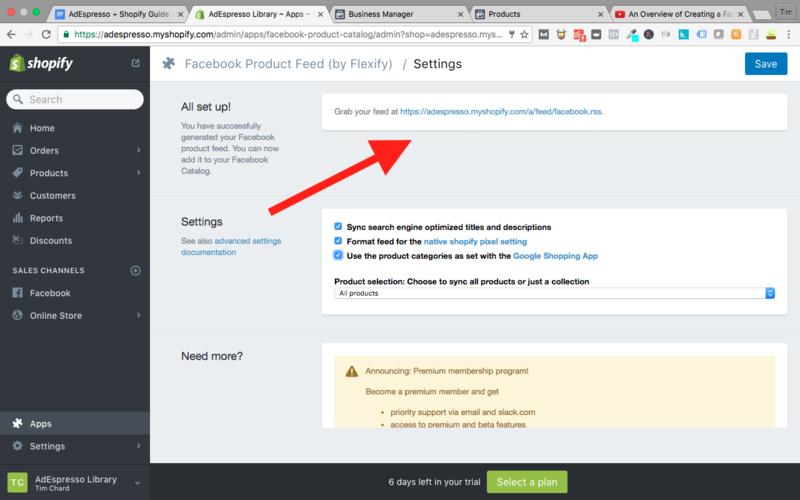 Drop in your feed’s URL (the Google Drive or Dropbox link) so that your product information can be pulled into Facebook. You can choose for the feed to update daily or weekly. If you’re using Flexify’s app, login and find the auto-generated product feed URL; (it will be the URL that ends with .rss). If you’re using a cloud storage account like Google Drive or Dropbox, add the login information so Facebook can automatically access the file for the update. Your product catalog will now be ready to go. 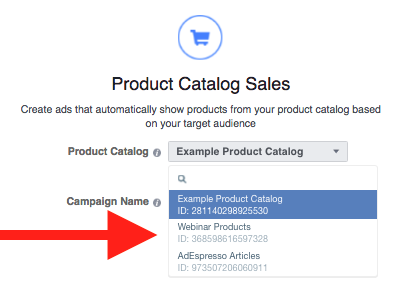 To create your first Dynamic Product Ad, head over to Ads Manager or Power Editor and choose “Promote a Product Catalog” as the objective of your campaign. Make sure you have the right product catalog selected. Click “Create Campaign” and get moving. After you click “Create”, edit your ad set to make sure that it’s promoting the correct product catalog. In our ad set, you can then select which product set you’d like to choose. 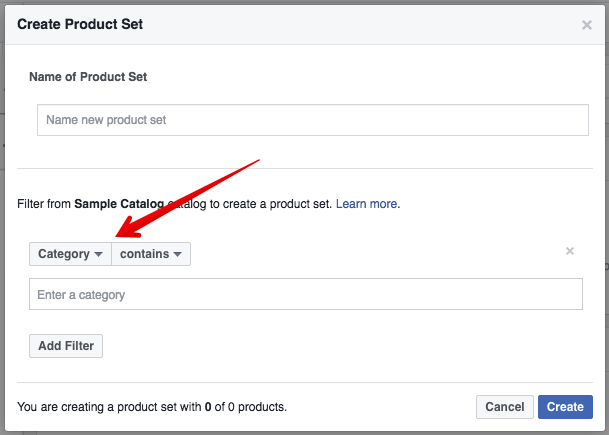 A product set is a filter for which products in your catalog you want your ads to feature. If you would like to create a product set, just hit the “+” button. Create highly targeted ads with product filters including Availability, Brand, Category, Product Type, and Price. 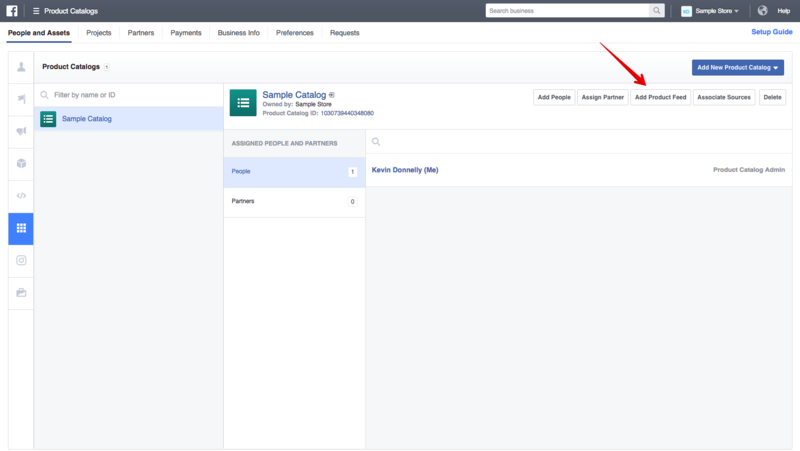 Once you’ve named your product and clicked “Create,” look for the “Audience” section. The “Audience” section is where you choose to target based on their behaviors as discussed earlier: those who have viewed content on your shop, added products to their cart or actually made purchases. These custom audiences, created from your Pixel (Chapter 3), are what we went over in Chapter 6. 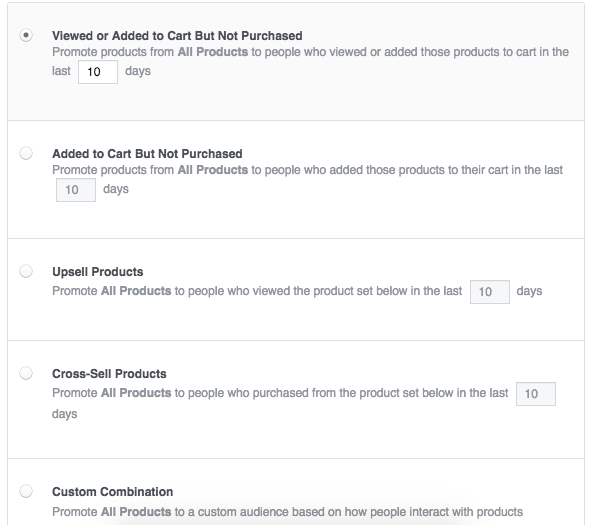 You can also choose an “Upsell” or “Cross-Sell” audience, allowing you to specify which product sets you want to promote to customers that have already viewed other product sets. This is great for converting those one-time shoppers into repeat customers by showcasing products that they could also be interested in or go hand-in-hand with products they’ve already acquired. Unlike other Facebook Ad Types, Dynamic Ads require the use of special keywords. These will be the same keywords that you used for your product feed spreadsheet. 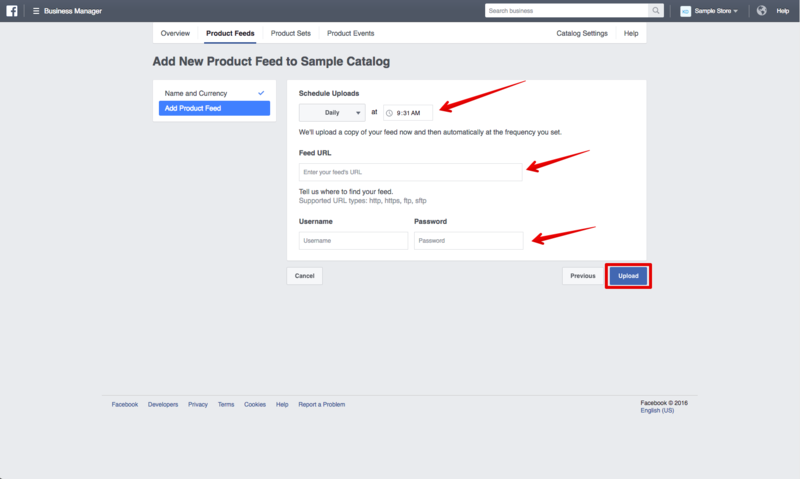 They are automatically tagged for your products if you used the Facebook Product Feed Shopify app. Keywords like “product.name”, “product.brand”, and “product.description” along with the product photo will be automatically pulled from your product feed when the ad is delivered to a potential customer. Once you set it up in a way that will look natural and customized to the end user, hit publish. Congratulations, you just created your first set of dynamic ads! As mentioned earlier, you can only sell real physical products with your Facebook Shop integration. 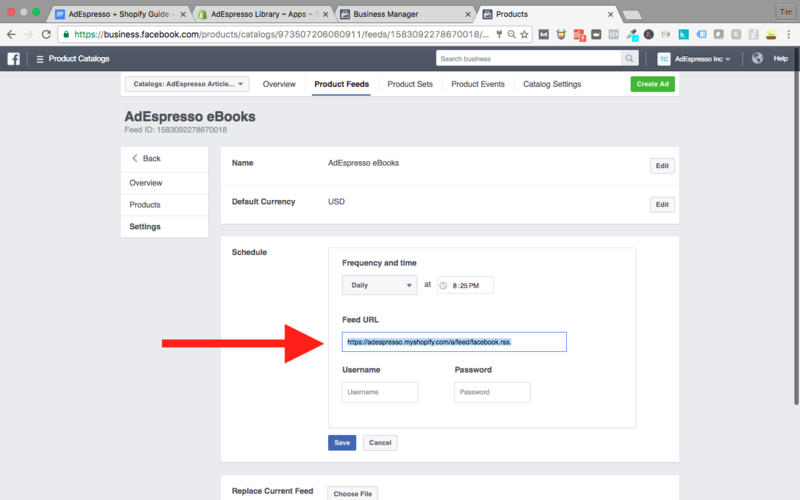 Additionally, the checkout process can only remain within Facebook if it’s in the same currency and done with Shopify payments. When it comes to Dynamic Ads, many choose to “re-direct” customers for the check-out from their Shopify Facebook Shop to their Website, to keep everything tracked via their Facebook Pixel. If you want to use Google Tag Manager (GTM) for Dynamic Ads with your Shopify website, you’ll need to create a dataLayer in GTM and edit the .liquid files of the Shopify template. If that sounds like jibberish, your best bet is to hire a developer, or if you have some development credentials, complete this course before you try this. If you don’t have a developer, and don’t feel very tech savvy, there are apps in the Shopify Shop that will do this all for you for a commission (10%). Just search “Dynamic Ads” in the Shopify App store, be sure to read the reviews, and understand that they’ll need full access to your account information. I don’t endorse any of them as I haven’t used them. I believe it’s worth the investment to hire a developer, but I understand time and financial constraints might limit this for you.